Hello, Alicia posting today. I have created a really cool birthday card. I hope to give this one to my nephew. I think it will make a great little boy birthday card. I started with a handmade background. I used mica ink on black glossy card stock. Next, I cut the background with Frantic Stamper Stitched Corner Cut Tags. 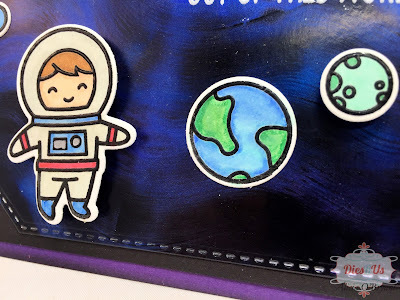 I colored all the planets and my little astronaut with alcohol markers. My favorite stamps have matching dies and these Lawn Fawn sets fit the bill. Once I determined the placement of my planets, I stamped and embossed my sentiment. I used white to pop on the dark background. 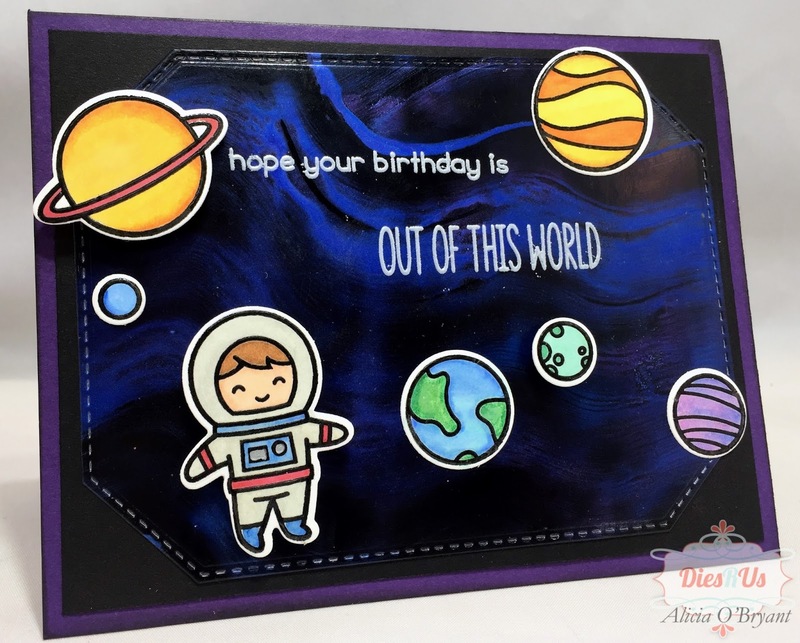 I also put some of my images on pop dots to create dimension in my space scene. He will love it. This is a great card, love the background. OMG what a cute birthday card ... going to bring big smiles I'm sure! Your background is perfect with these images! GREAT job and awesome inspiration! What a fun card for a little boy. He'll love it! Great job on that background!! So stinkin' CUTE! Your little nephew will love it!!! I'm sure your nephew love it. Cool background so perfect for these cute images. Love it! YOWZA! That is some kind of COOL!